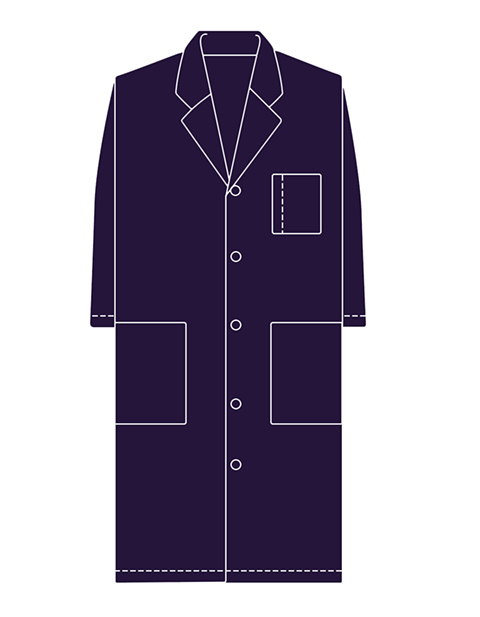 This is a unisex long lab coat that is 40-inch in length. It features two roomy lower patch pockets and a chest pocket with a pencil stitch that's meant for storage purposes. Also included is a notched lapel collar, a five-button closure, side vents for pocket access and back slit for ease of movement. It's made of 65% poly / 35% cotton. This item is made to order, cannot be exchanged and refunded. It's a colored lab coat that's available in twenty colors.